Working in the tech industry there are two ways to deal with your phone. Firstly, you have it like anyone else does, and it makes a sound and vibration whether you’ve been tweeted at, emailed, tagged into something, or someone is in some way trying to get hold of you. This method ends in either madness, or acceptance that you are forever glued to your phone whether you’re “at work” or not. Yes, it’s an indictment of how over worked people are that they’re always on, but it’s also a very modern problem that people can be together in the room, but not together in the room. Modern life aside, there is another way of doing it, and it’s my preferred way: turn notifications off for almost everything. “I sent you a DM, mate”. I didn’t see it. “I sent you a message on Facebook, though!” – sorry, don’t have notifications on that app. It helped me get more control over my free time and live in the moment more, and less on the old SocMeds. Don’t get me wrong, I’m not pretending I’m some amazing social butterfly, I’d far prefer to be at home playing something, or watching something, but it made me feel less like I was being pulled in a million directions. But then a third option appeared in the form of wearables. I’ve been using an Apple Watch since the series 2 model, and using the series 4 for a few months now and, frankly, it’s only when I have a day off wearing it, that I quickly put it back on. Perhaps it’s the gentle tap on the wrist that is more appealing to me over the raw noises a phone makes, but the Apple Watch made me realise my phone is all but silent nowadays, and that’s rather blissful. The first major difference between the 4 and previous iterations is an aesthetic one. A slightly bigger overall size (40/44mm compared to the 38/42mm of the prior models), and while the 2mm doesn’t make a huge difference, it’s the fact the viewable area is bigger than makes a smaller watch feel like a bigger one. 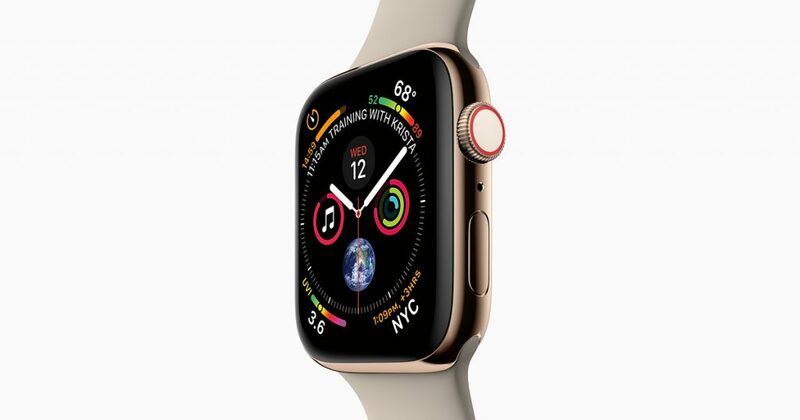 A nicer design (rounded, less like the blocky earlier watches) incorporates a speaker that takes up the entire side of the watch which is clearer and louder than the series 2 or 3, and generally the mic feels more responsive. Actually, it’s maybe over-sensitive, as you can sometimes set Siri off just by scratching your head as the watch thinks you’re raising it to speak to it. Aside some general “tidy-up” stuff, there’s also a new Heart Health function which will alert you if your heart rate raises too high, or drops too low. It may seem inconsequential to some, but it’s peace of mind and also just makes sense given how much of a focus the health app aspects on a Apple Watch can be. The Crown now has haptic feedback (similar to the newer iPhones, it basically amounts to a feel when scrolling, a gentle tick as you scroll through dates and times that, honestly, switching back to an older iPhone, does feel missing when it’s gone), and because this unit is the GPS and Cellular capable model, it has a red ring on it. Lastly, when it comes to look, the side button is flush with the watch itself, which looks better, but makes for a slightly more awkward control if you’ve particularly chunky digits. That said, I get by okay, and I’ve got big fingers. The new faces mean new complications (think modular faces and you’ll understand what complications are), and for the first time across three generations of Smart Watch, I feel happy with my face. A digital time, date, activity, calendar, along with the weather, a space for a timer, and even a music slot means that I have everything I regularly use on my watch face. On top of that, as someone who uses their Watch a lot, the battery genuinely nearly lasts a full 48 hours most of the time. I can usually get to about 40-42 hours without charge before hitting 10% and getting worried it’s going to tap out before I do. One of the few quirks aside the accidental Siri access I’ve had is since I started wearing wired headphones again, and it’s that sometimes hitting the answer call button on my watch would send the call to my watch, rather than the headphones that are plugged in. It’s not a deal breaker, but it seems an odd idea that if you had headphones in, you’d want a call on a watch speaker, and I never had this with AirPods. Again, a small, strange quirk, but one easily solved by just changing where the call is broadcasting via your iPhone. 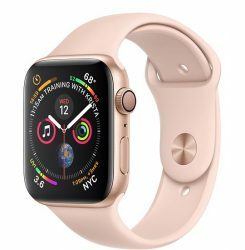 You already know if you want an Apple Watch. I’ve gotten to the point where it’s part of my regular routine to pop my watch on before I leave the house, and all the functionality of the previous generations of this device are wrapped in a neater, nicer looking, better performing package than ever before. Aside changing how they look again, it’s difficult to know what a Series 5 model could bring, and regardless, I think you’d remain happy with the 4 as it is. It's become a part of my day to put my Apple Watch on before I leave the house, and this it the best one yet.